Website will be in development for considerable time - come back from time to time. 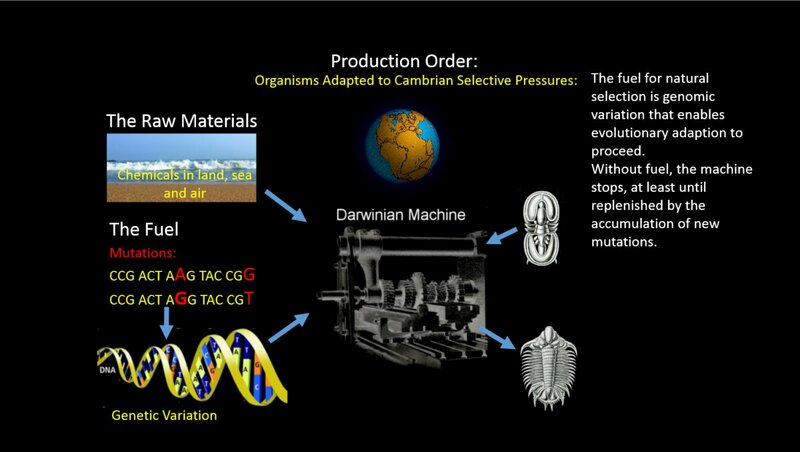 The concept of the Cambrian Explosion has always been and continues to be an allure to scientists. The very name has always invoked scientific debate because it dares to suggest an essentially instantaneous event of unprecedented importance. Debate, after all, in an integral component of science, and the Cambrian Explosion is a fertile area for disparate and even antithetical views to be expressed. The purpose of this web site is not to review a huge literature on the explosion, and present it in a manner that will be recondite to nonscientists and students. Rather, the goal is to present a pseudo layperson interpretation of the evidence embodied in the fossil record to tell a story about what is termed the Cambrian Explosion. Along the way, I intend to insert Charles Darwin's thinking from so long ago. Darwin’s work is an exemplar of the scientific method. His Origin of Species eloquently presents descent with modification as an undeniable central truth, and did so nearly 100 years before Watson and Crick postulated the copying mechanism for genetic material. In honor of Darwin, I will invoke a metaphorical “Darwinian Machine” to help explain the Cambrian Explosion and its possible causes. Bear in mind that it is the job of science to accumulate new evidence, and then reinterpret the entire body of evidence. I hope that nonscientists will gain a better appreciation of the scientific method, which is something they understood as a child, but may have forgotten. What the Cambrian Explosion was, and even whether it was an explosion at all, is a debate that will continue, as it should. In what follows, Cambrian Explosion and Cambrian Radiation will be used synonymously. In order to tell the story we will also need to decend into deep time in the precambrian, including the Archean when both Prokaryotin and Eukaryotin life began, the Proterozoic when bacteria transformed the atmosphere and rusted the oceans, and the Vendian and Ediacaran periods just preceeding the Cambrian when multicellular orgamisms first unequivocally appeared. To begin the story, imagine a metaphorical Darwinian Machine that alters biological organisms to be better adapted to survive and procreate. This is a machine that alters organisms by means of natural selection, where progeny that descend from parents come out of the machine better equipped to survive. What starts the machine to run is a production order to adapt an organism to new environmental stressors. The stressors could be the physical environment (e.g., temperature or chemical makeup of the land sea or air) or other organisms (e.g., predation or competition for food) -- in short, the causes of the Cambrian Radiation. The fuel source is changes to DNA, such as mutations caused by the environment, DNA copy errors and other complex chemical-molecular process errors. Other raw materials - chemical constituents of the marine, aquatice, atmospheric and terrestrial environments. Production demand - selective pressure from the environment, both physical and biological, to adapt or die, or to eat, or be eaten.